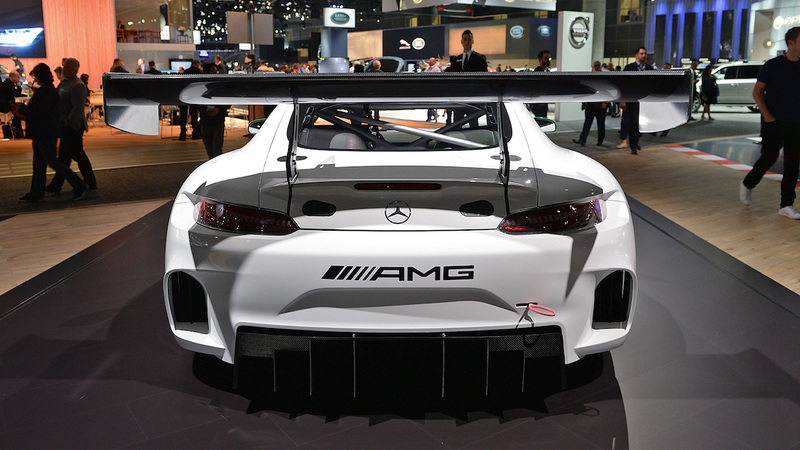 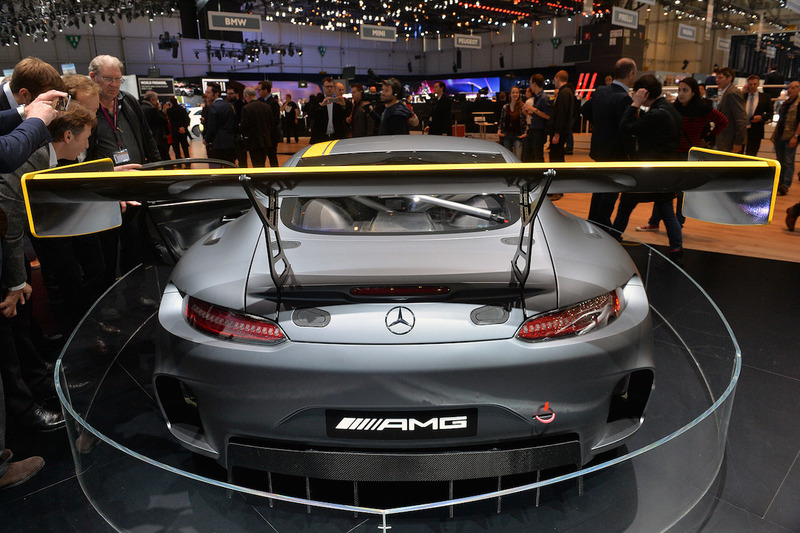 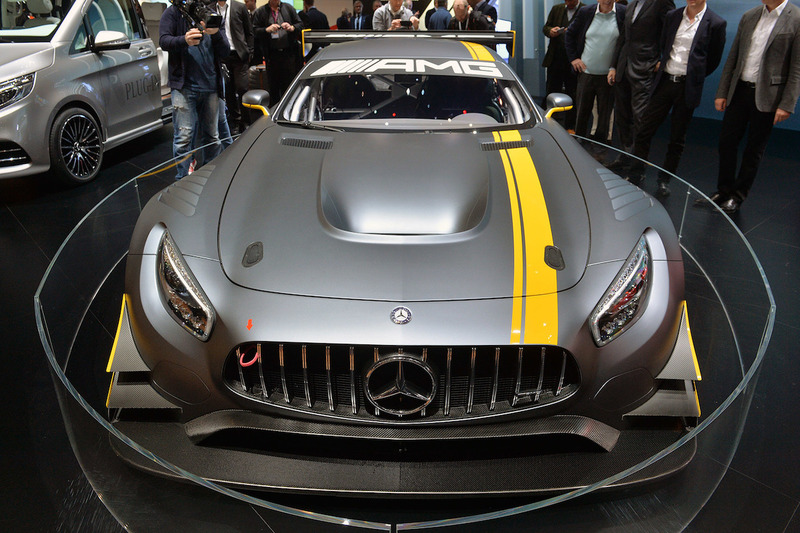 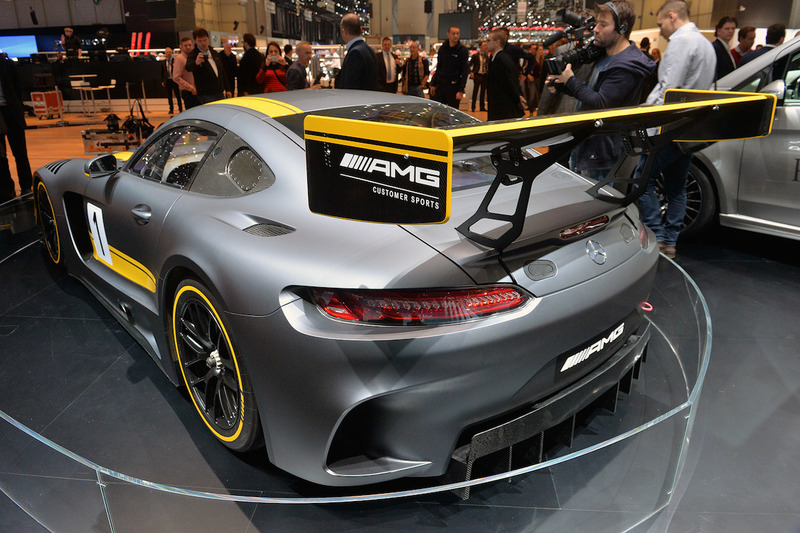 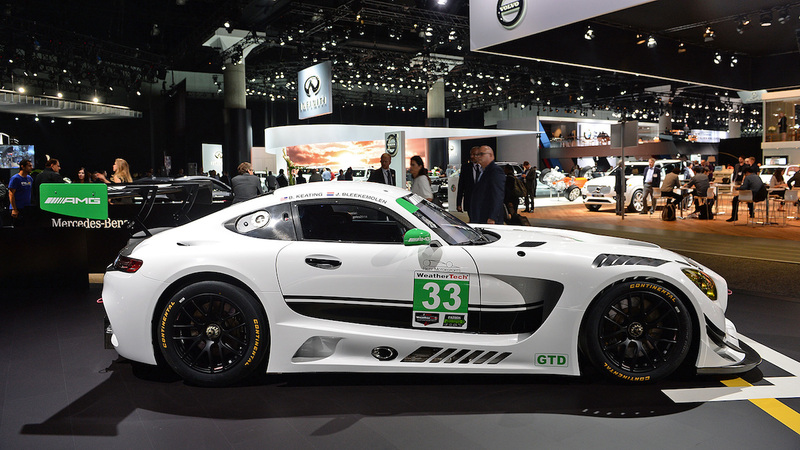 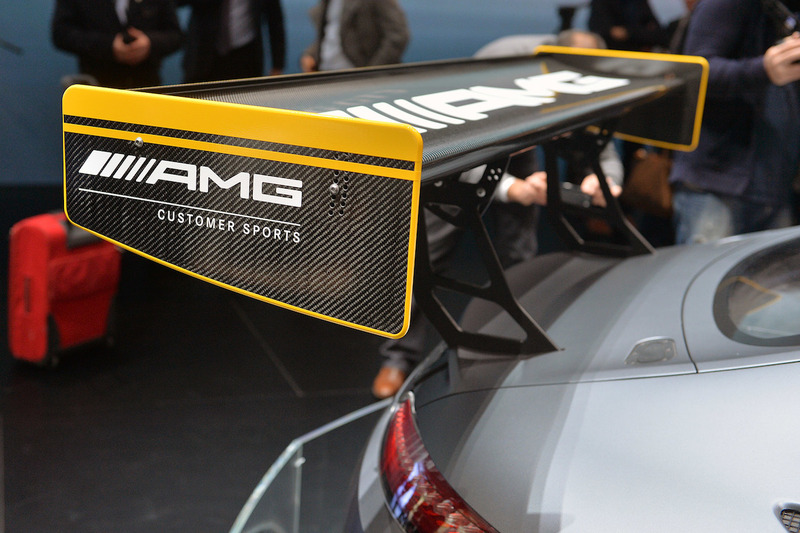 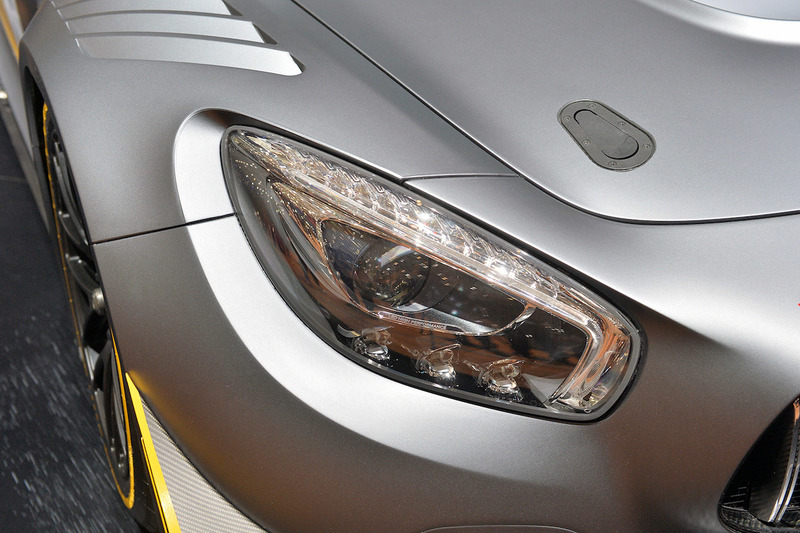 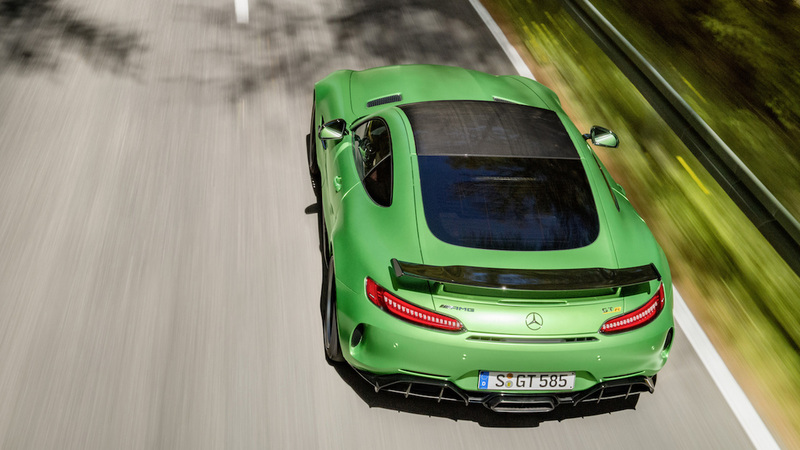 After the SLS AMG, the Mercedes-AMG GT is the second sports car developed entirely in-house by Mercedes-AMG. 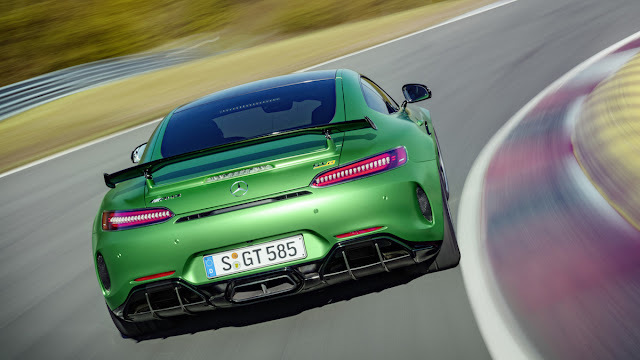 The car is produced in two performance variations, the GT, with 340 kW (462 PS; 456 bhp), and the GT S with 375 kW (510 PS; 503 bhp). 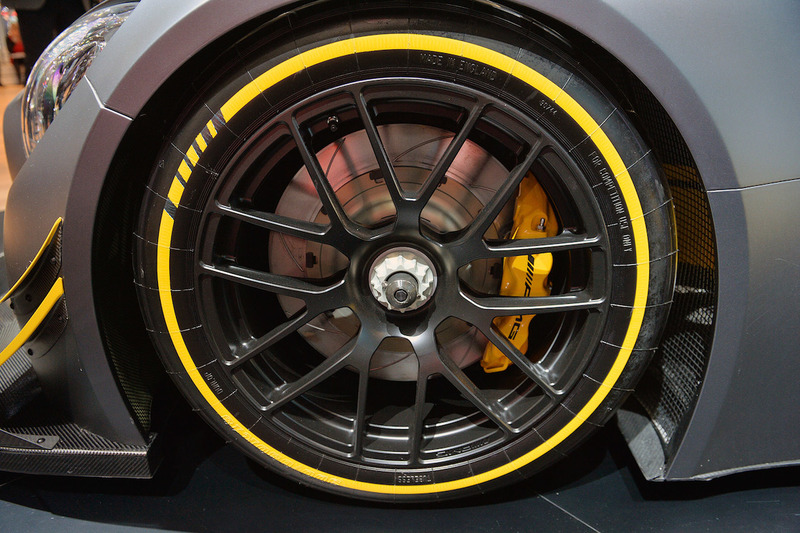 The GT has 600 N·m (443 lb·ft) of torque, and the GT S has 650 N·m (479 lb·ft) of torque. 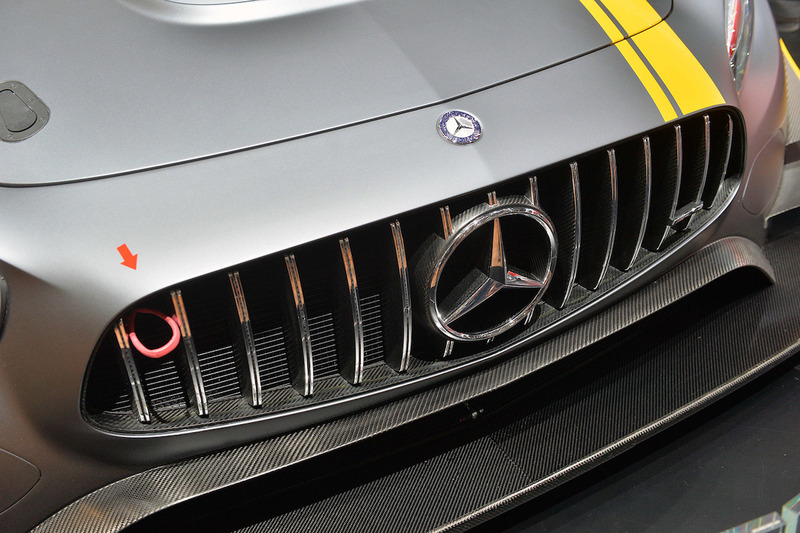 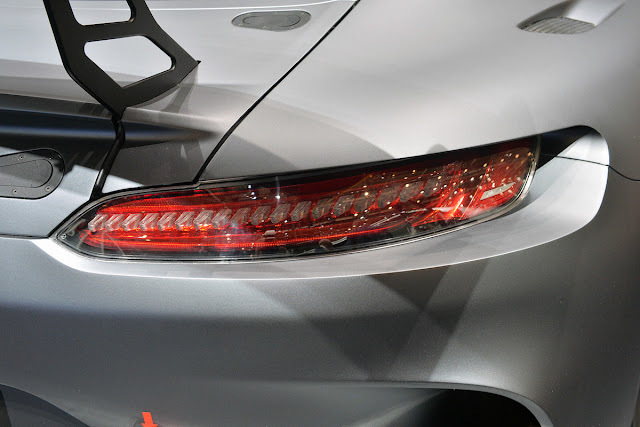 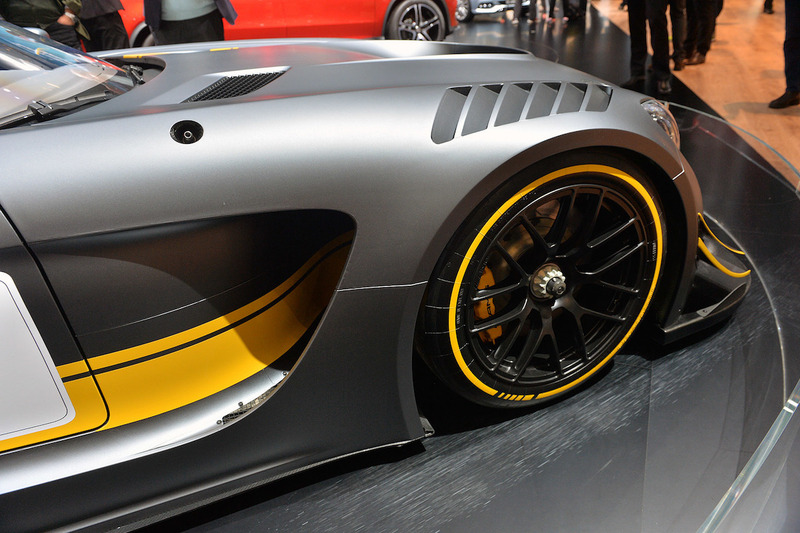 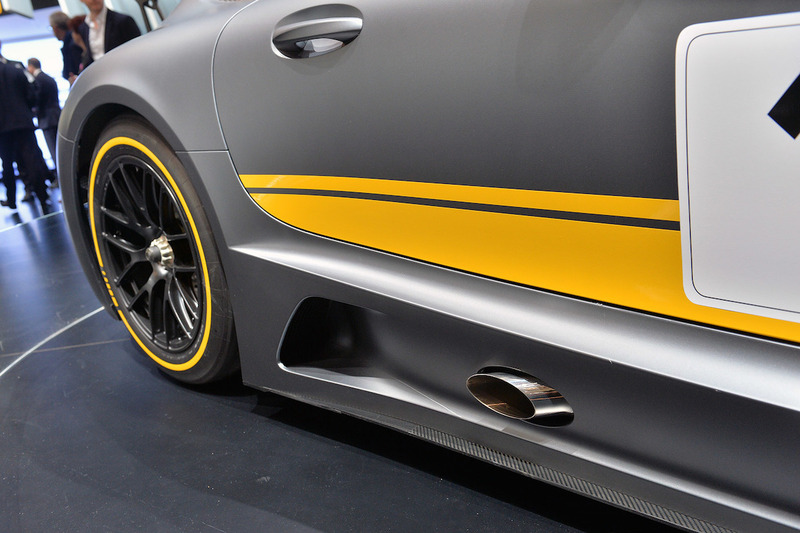 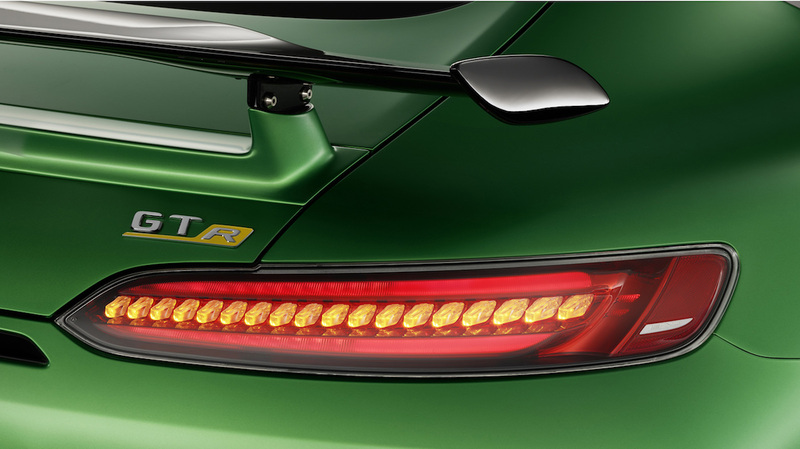 The Mercedes-AMG GT uses a front mid-engine, rear-wheel-drive layout, with the engine inside the vehicle's wheelbase. 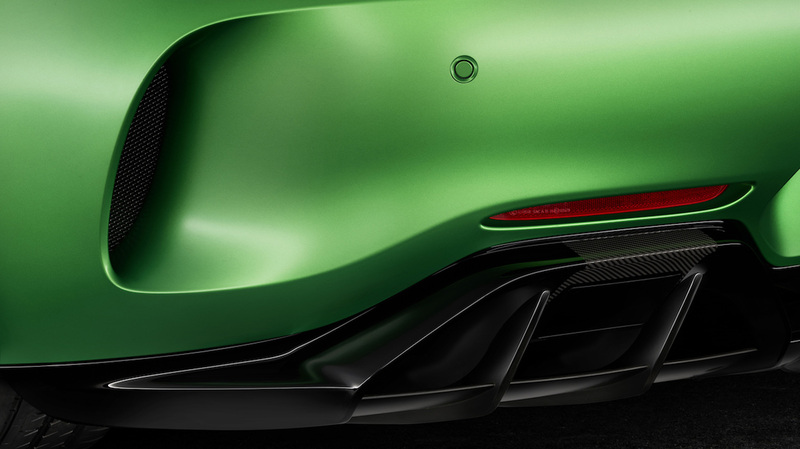 The spaceframe chassis and body are made out of aluminium alloys, while the boot lid is steel and the engine bonnet magnesium. 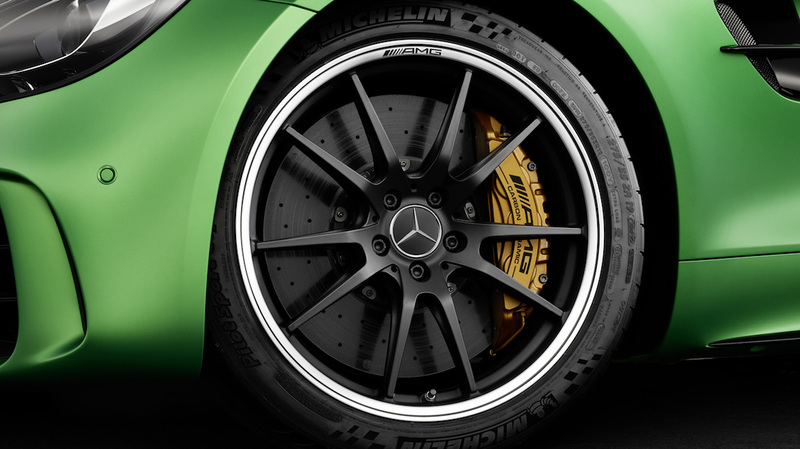 The suspensions are double wishbones front and rear, with forged aluminium wishbones and hub carriers. 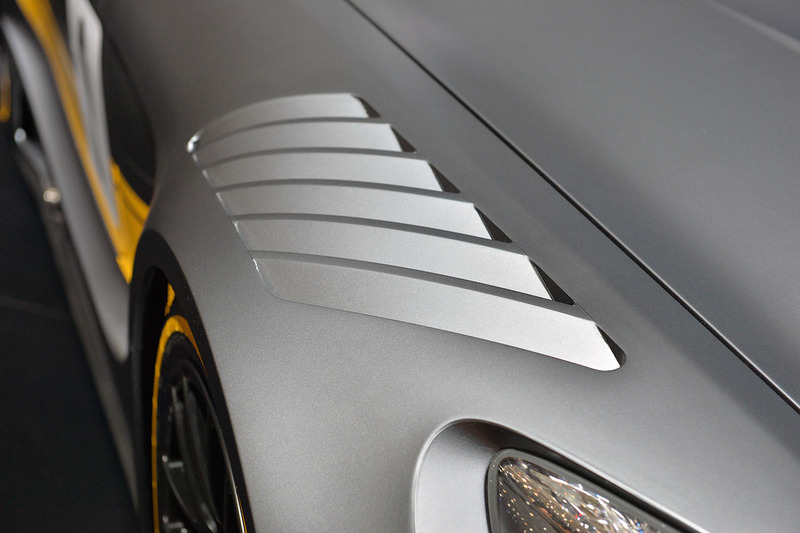 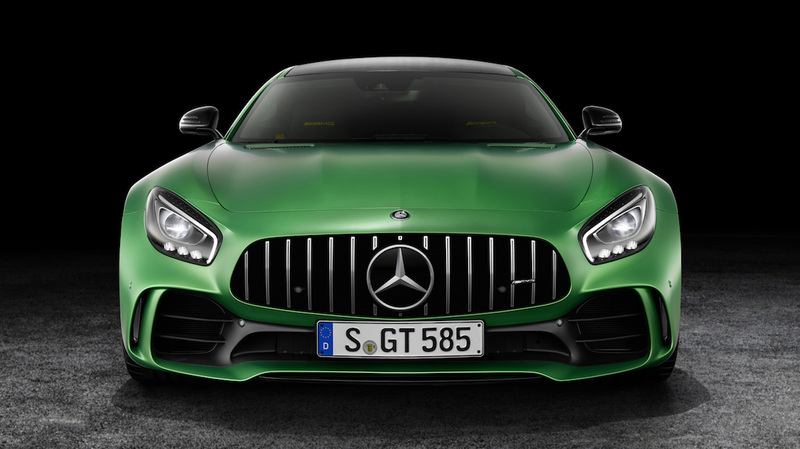 The GT model is powered by a front-mid mounted M178 4-litre twin-turbo V8. 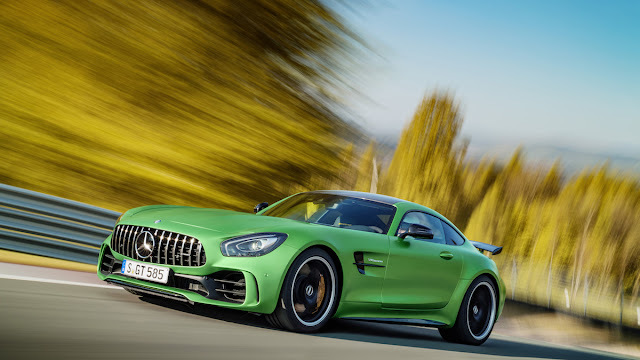 Power is sent to the rear wheels through a transaxle 7-speed AMG SPEEDSHIFT dual-clutch transmission; the GT S model employs an electronically controlled mechanical limited-slip differential. 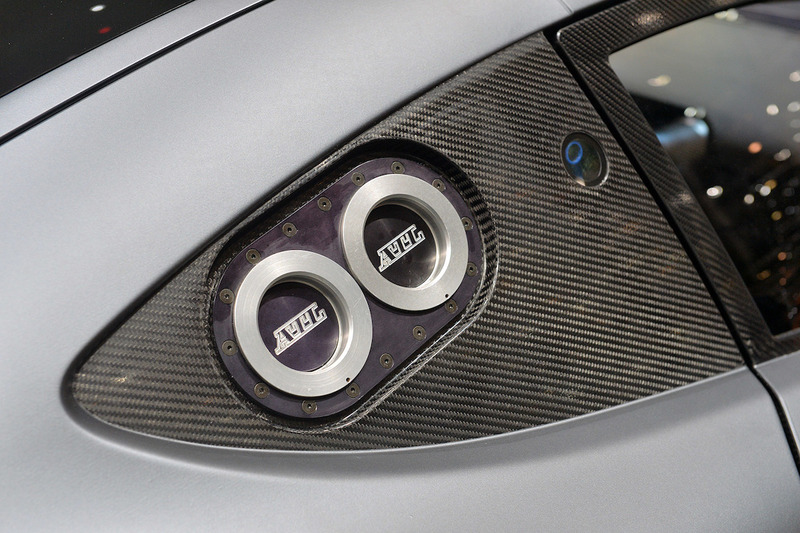 It can accelerate from 0–60 mph in 3.0 seconds. 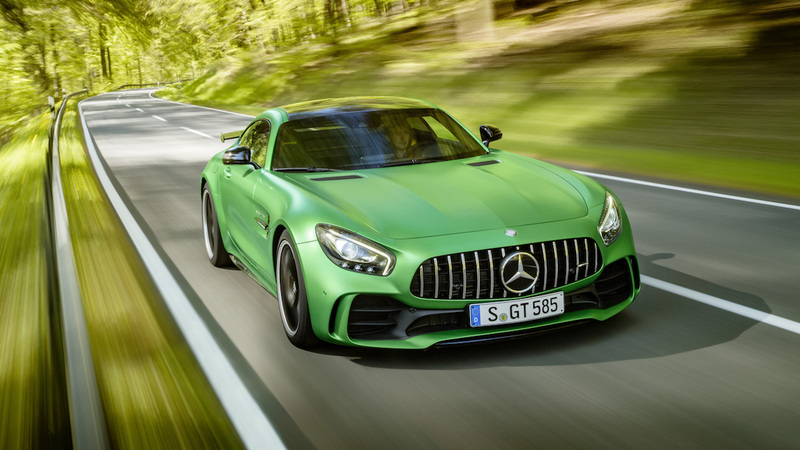 The Mercedes-AMG GT R is a new, high-performance variant of the GT was revealed at the Goodwood Festival of Speed in 2016. 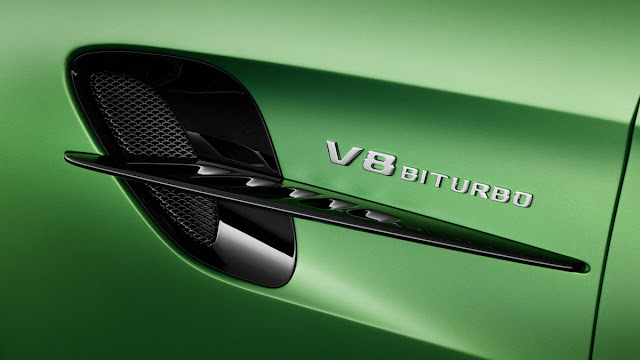 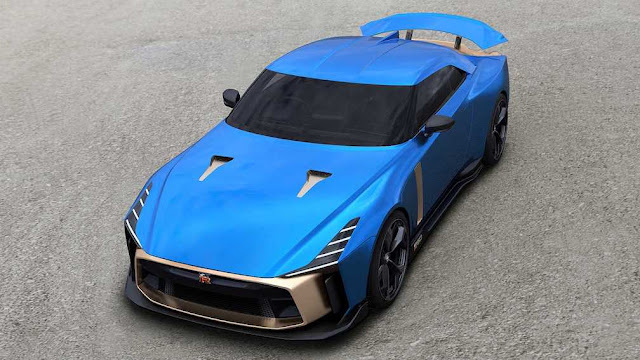 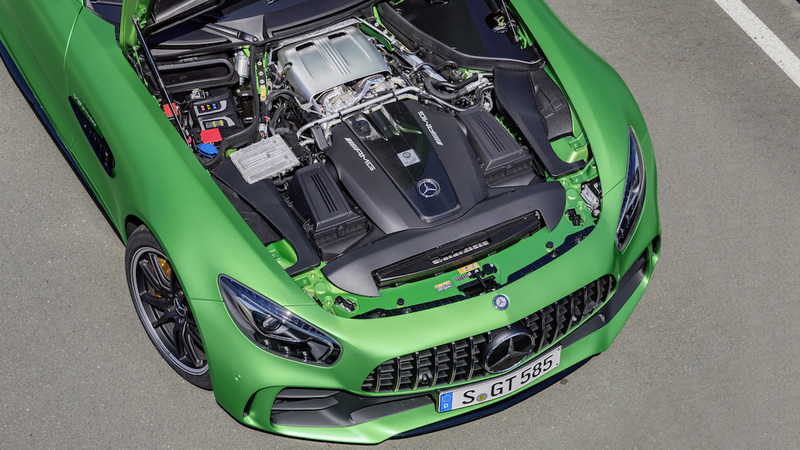 It features the same 4.0 L twin-turbocharged V8 engine (M178) used in the GT and GT S, but with power increased to 585 PS (430 kW; 577 bhp) and torque increased to 700 N·m (520 lb·ft). 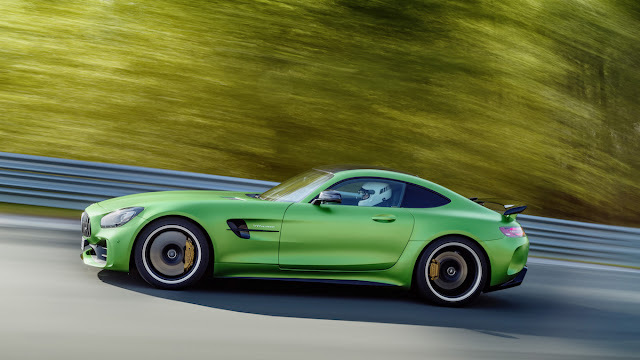 The GT R accelerates from 0 to 100 km/h (62 mph) in 3.6 seconds and has a claimed top speed of 320 km/h (200 mph). 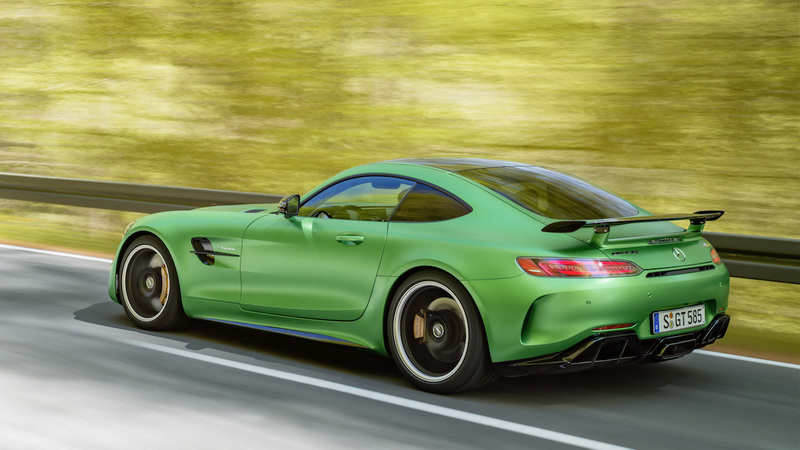 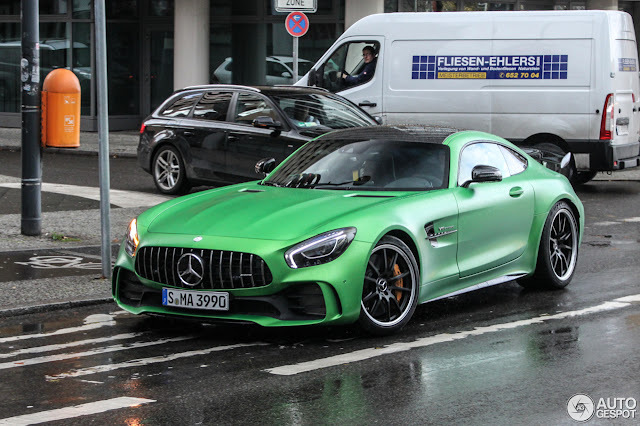 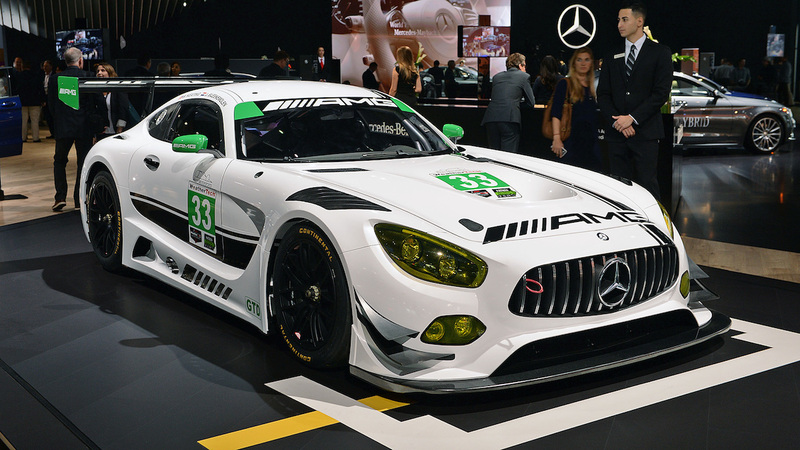 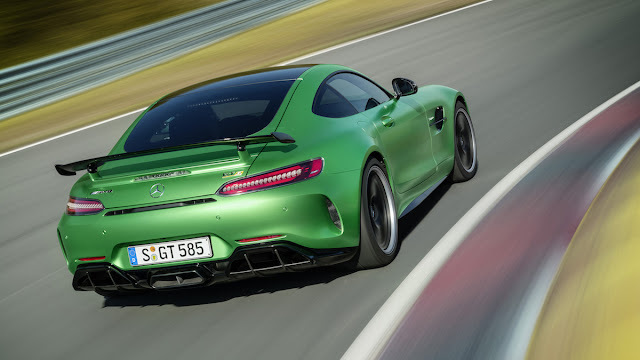 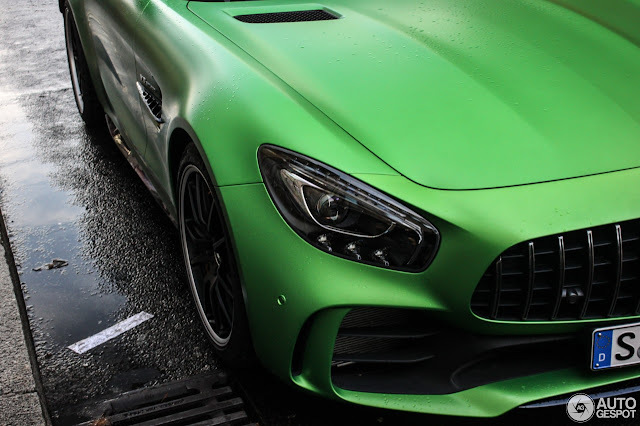 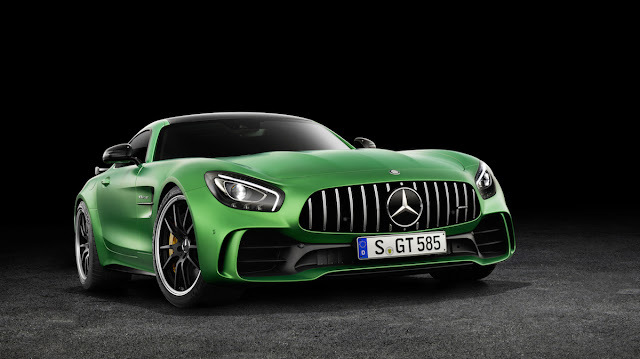 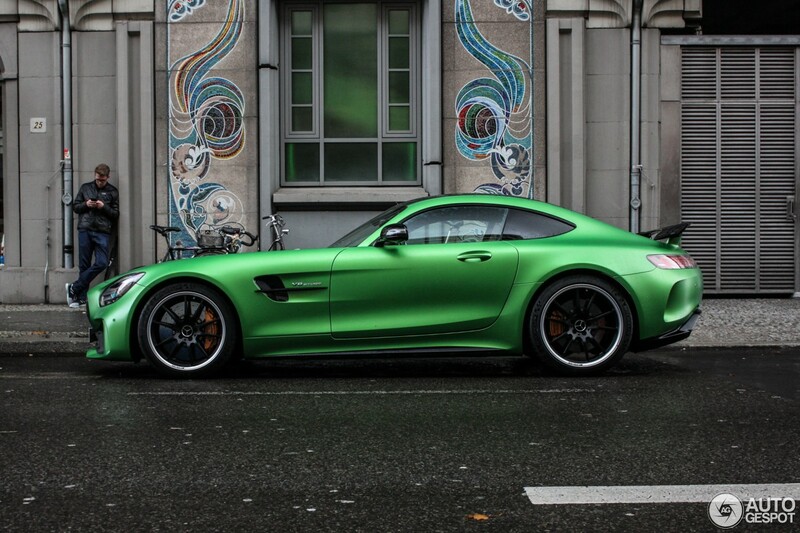 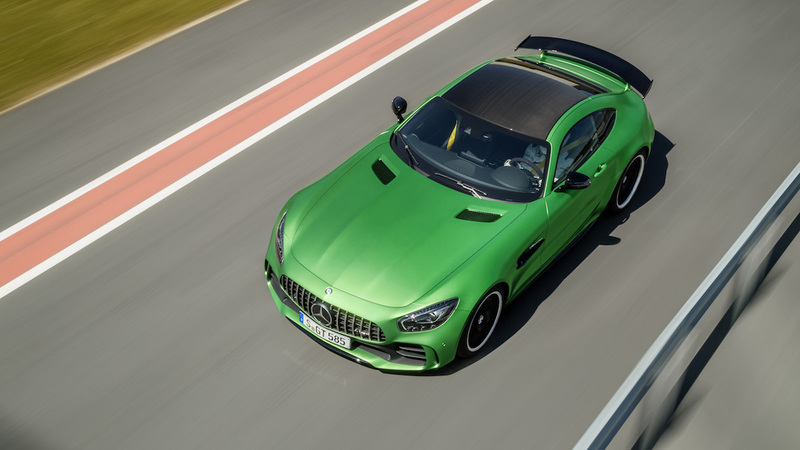 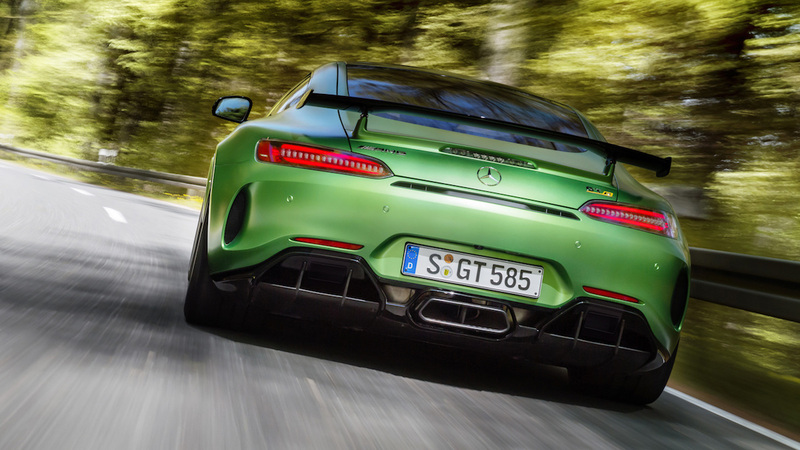 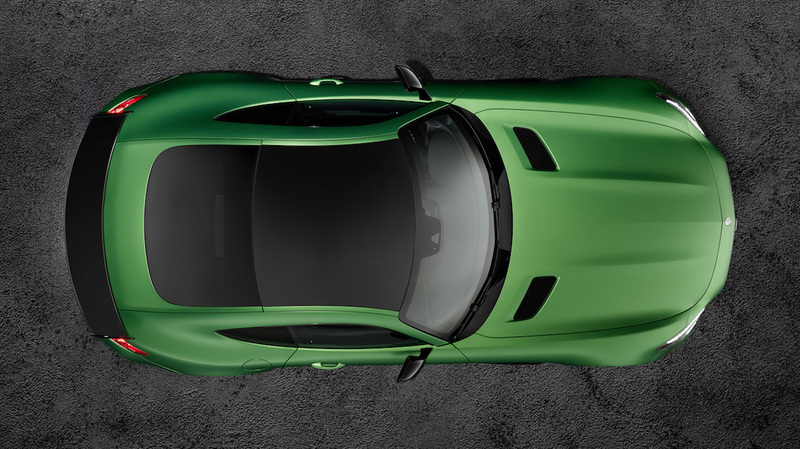 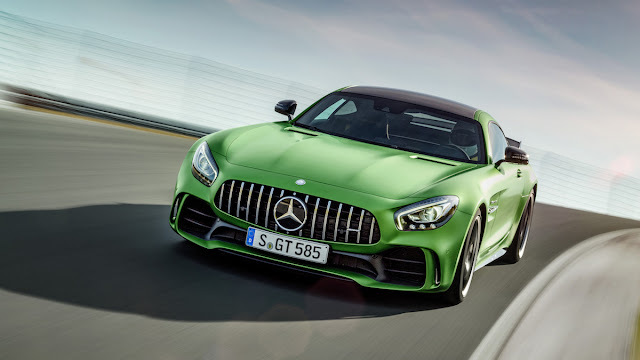 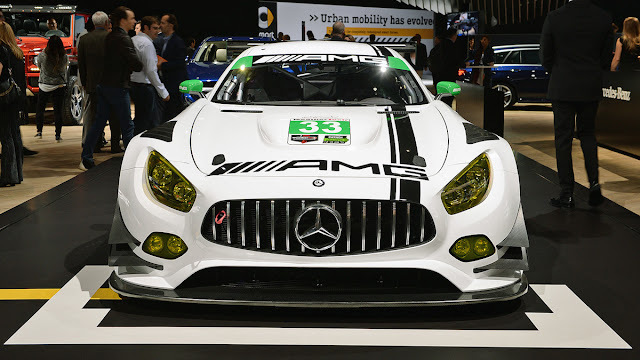 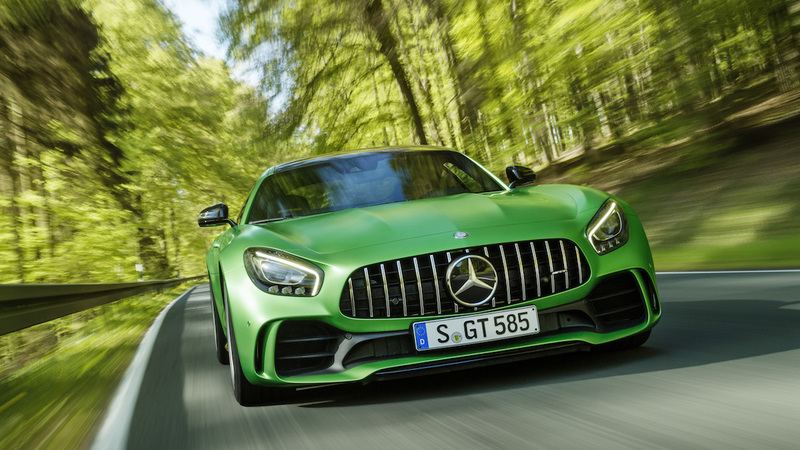 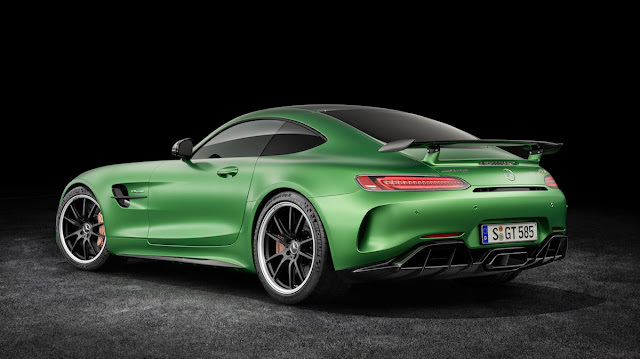 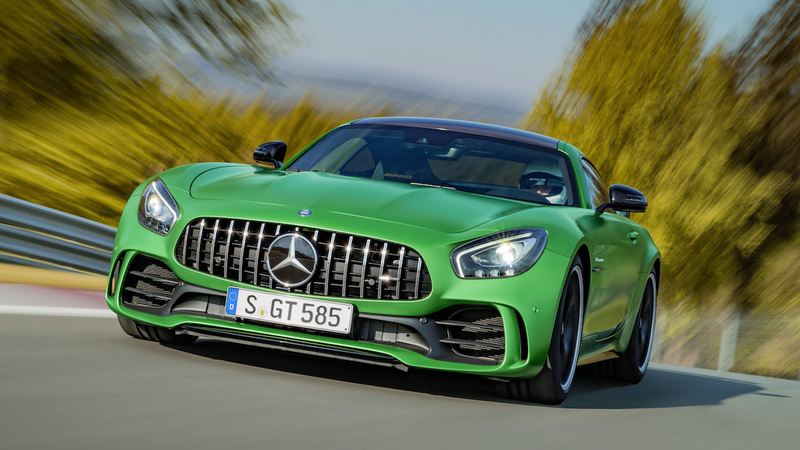 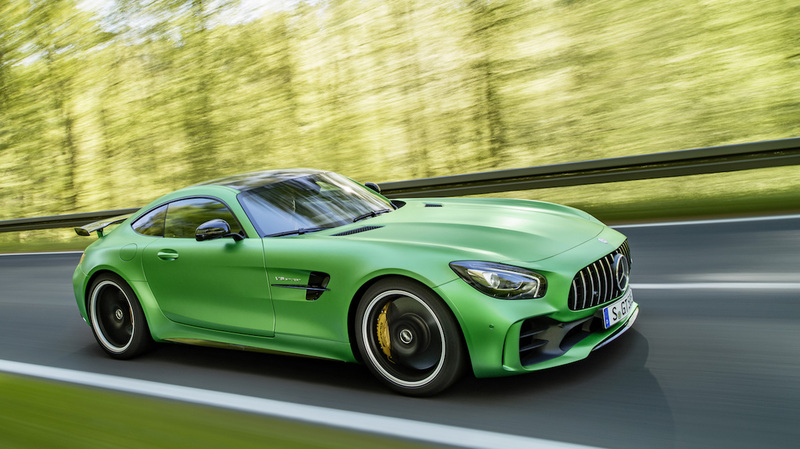 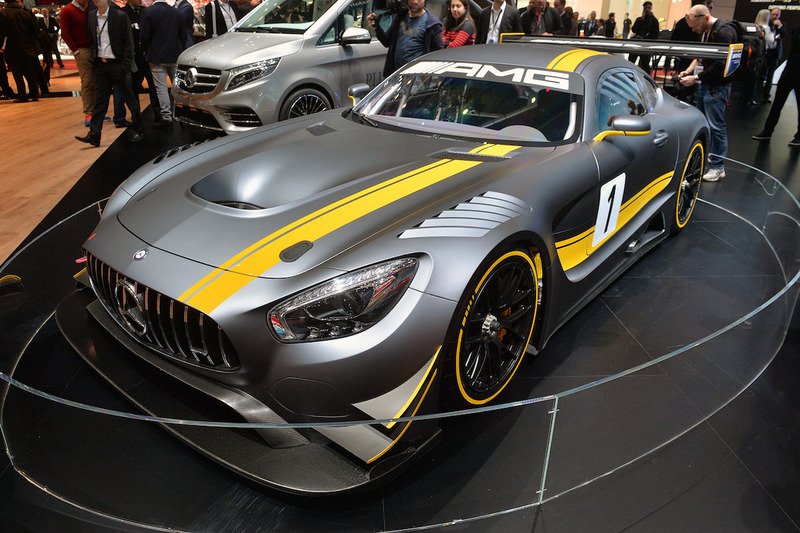 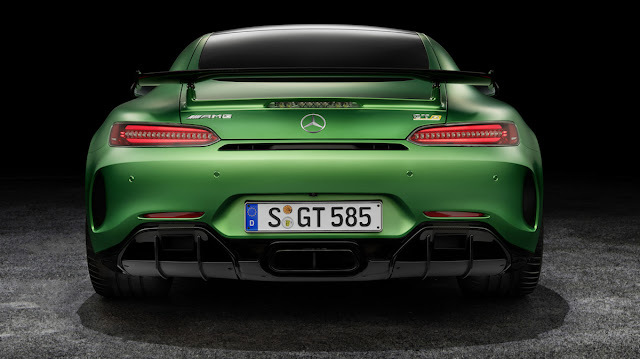 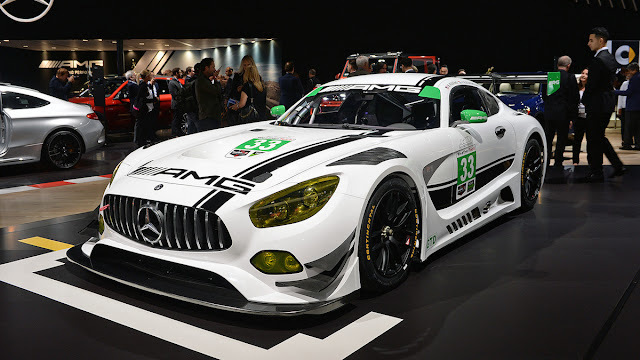 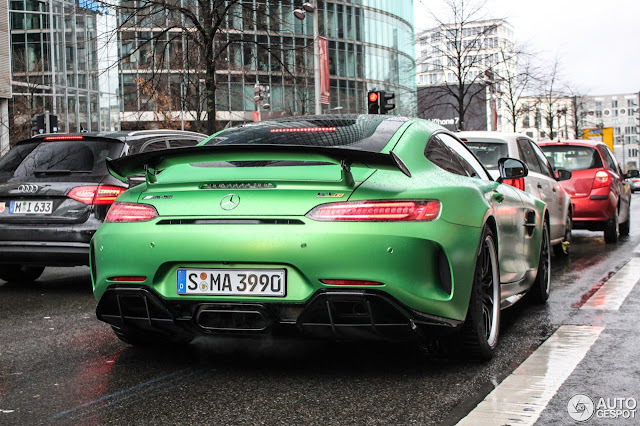 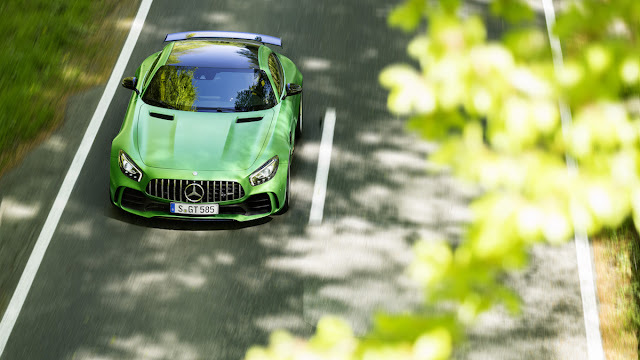 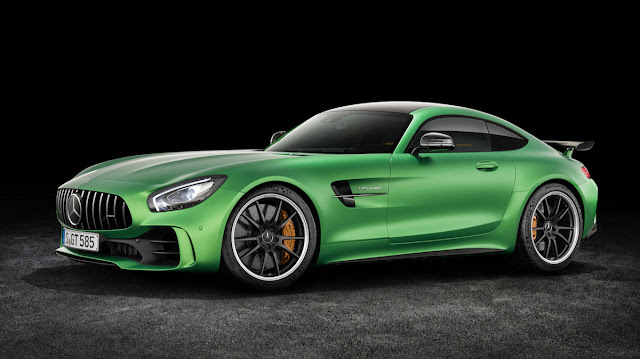 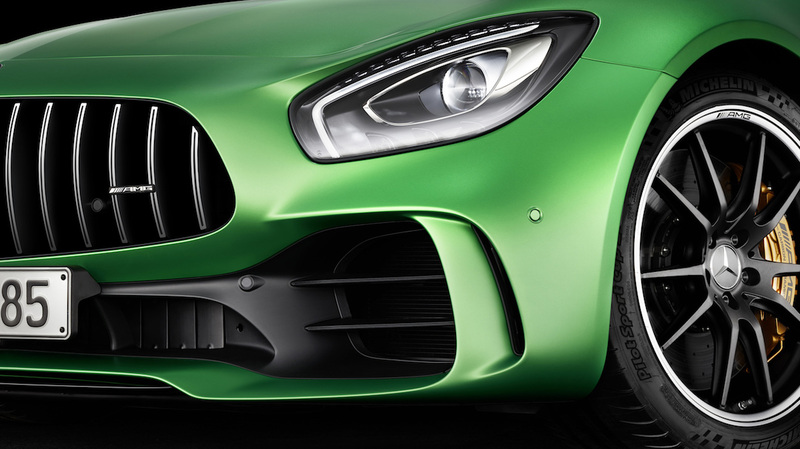 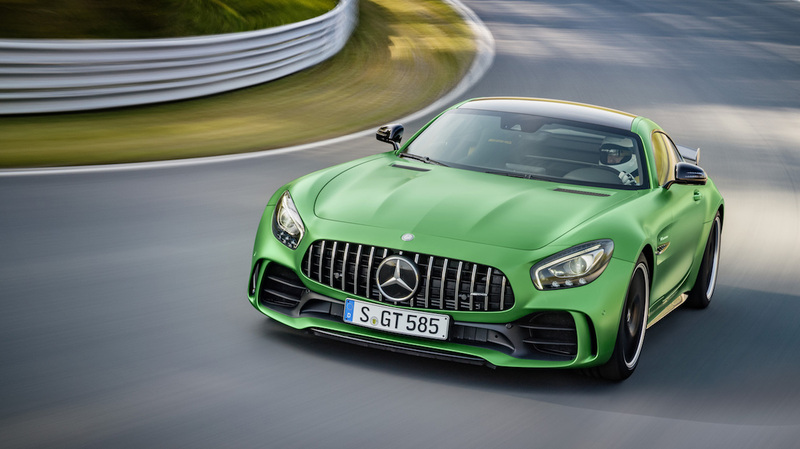 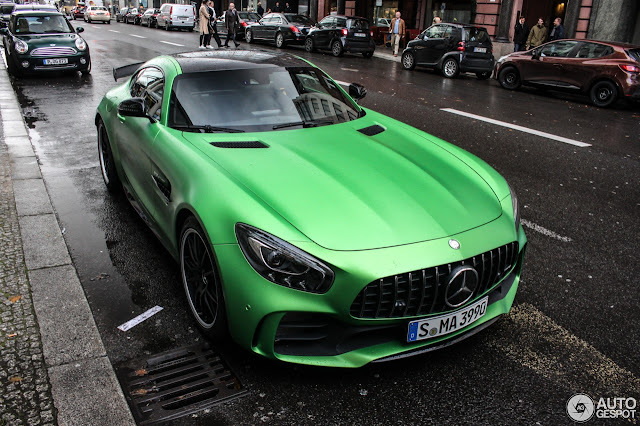 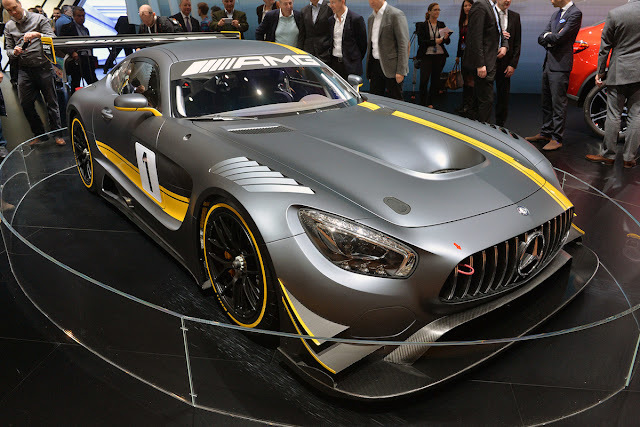 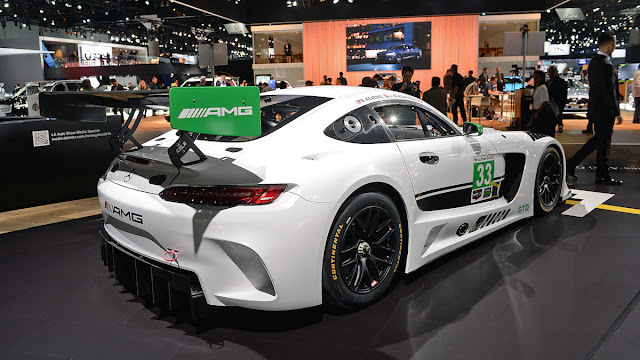 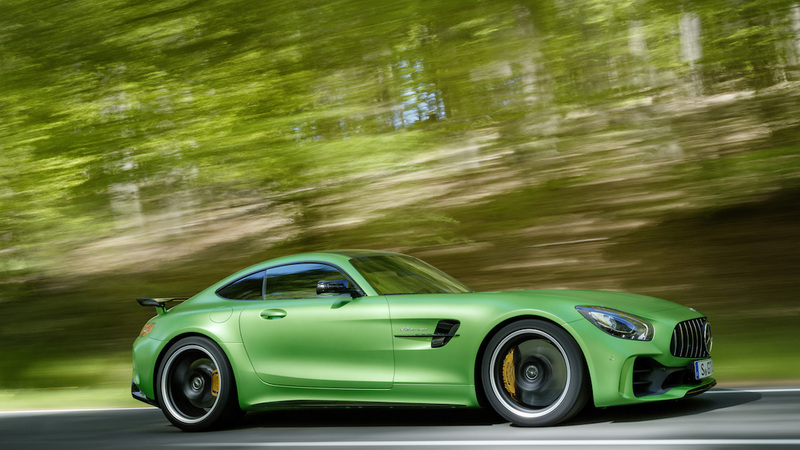 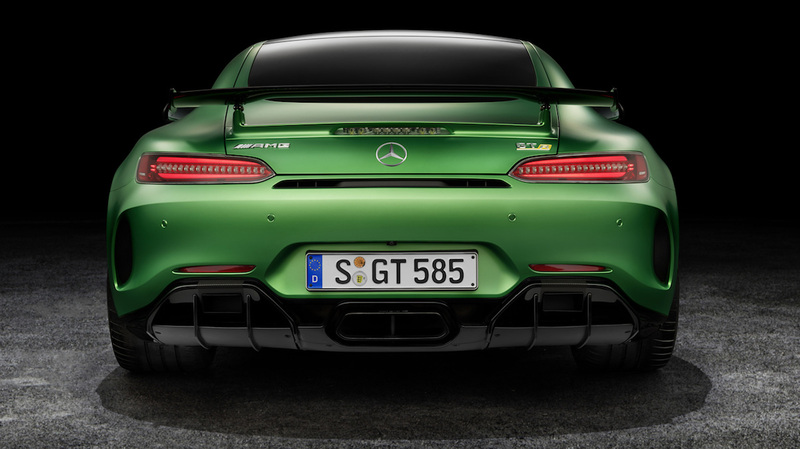 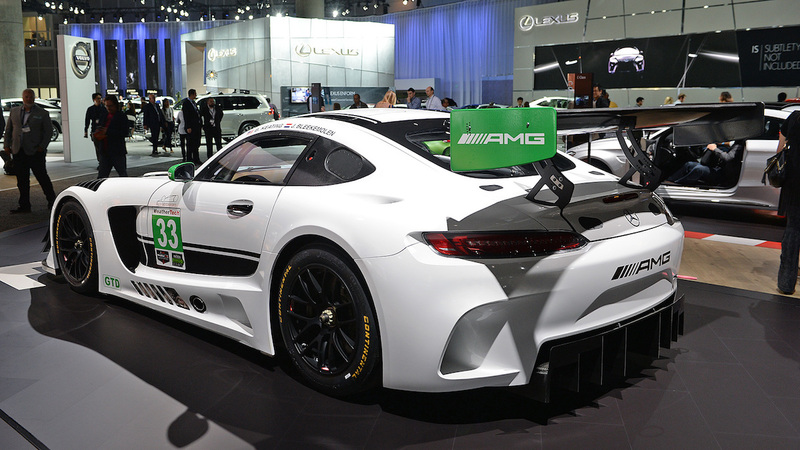 The body colour on the concept is called AMG Green Hell Magno, and its name is a nod to the Nurburgring Nordschleife, where the car was developed.